To craft an alcohol base pure enough for an invigorating surge of refreshment, we developed our proprietary BrewPure Process. 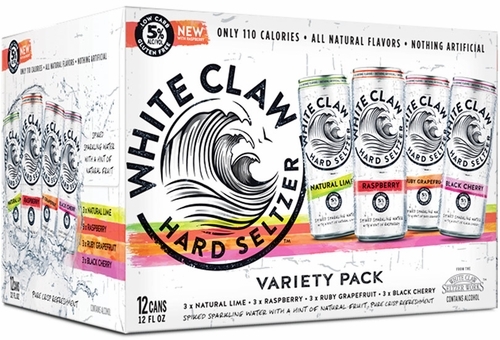 This gives White Claw the cleanest tasting, gluten free alcohol base possible. We only use artesian water and natural flavors; no crystalline fructose, dietary fiber or preservatives are added. When three perfect crests come together to create a surge of refreshment. Inspired by the legendary White Claw waves, we endeavored to craft a new level of refreshment as pure as their white-capped crowns. The result? The Purest Hard Seltzer in the World.